Admittedly, that’s what I first thought when I saw Kenney’s before and after photos. There was just NO way that this Tony Stark looking dude on the right was the same person as the man in the other photo, right? And then I saw his other photos. And then I heard his story. Shut up I’m not crying, you’re crying. 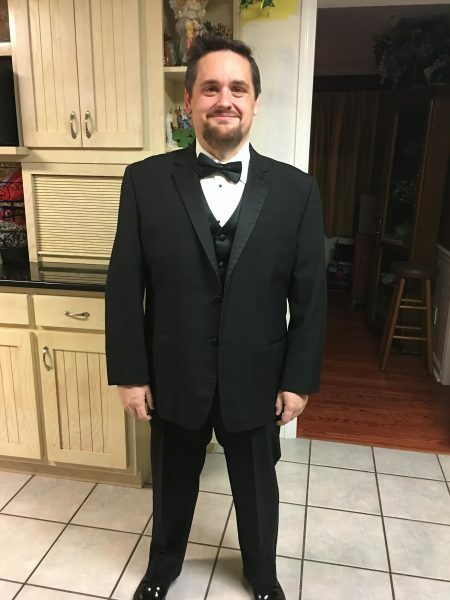 Today, we’re going to be talking about Ironma—-Kenney Frazier, an IT systems administrator from Alabama, a gamer, and an opera singer who has had one of the most dramatic transformations I’ve ever seen. It’s no exaggeration to say that Kenney clearly saved his own life. Not just in terms of life expectancy, but also quality of his life. Kenney is a proud member of the Nerd Fitness Academy who made some key changes in his life that helped him succeed. We’re going to dig deep into those major and minor changes Kenney made and how you can be like him! 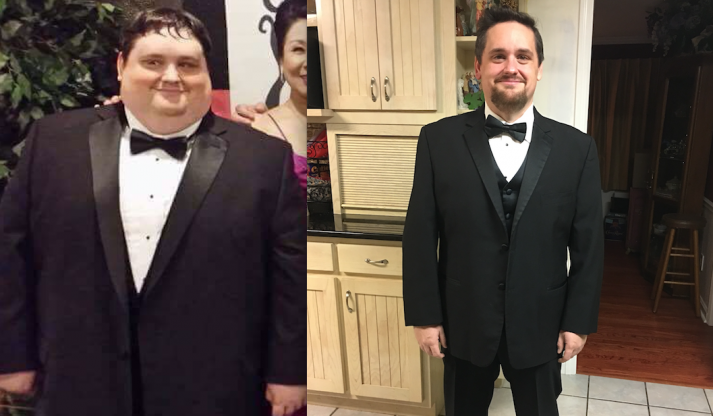 After years of struggle, starting and stopping, a switch flipped and he has lost over 120 pounds in the past 15 months. KENNEY: I’ve pretty much always been overweight. Even in Kindergarten I was pudgy! I attribute this to my love of Reese Cups (I’m a recovering addict; there should really be a Reese Cup Lovers Anonymous Group). I steadily put on the pounds, and by high school I easily tipped the scales at 250lbs+. By the age of 25 I was over 300lbs and miserable. I would go on a diet, have some success, then expand to new heights in short order. My addiction to Everquest and World of Warcraft definitely did not help. I lived an extremely sedentary life and I was depressed. I would use these virtual worlds as an escape from my self-imposed dungeon. I was finally able to break out of this addiction and decided to start living in the real world. I joined the workforce and did my best to become an adult. STEVE: I hear ya brother – I too played Everquest (and Everquest 2) for over a decade and did it for the same reasons you did – to escape a crappy reality. What was a typical day like for you then? KENNEY: I would wake up around 8:30am during the week and drag myself into work. On the way to work I’d stop by Chick-fil-a and grab 2 chicken biscuits and a large lemonade because breakfast is the most important meal of the day, right? Ha. Of course being a southerner you can’t have breakfast without biscuits! Lunch, would roll around and I’d run to Burger King and order 2 double cheeseburgers and a large fry and Coke to wash it down with. I’d probably grab a candy bar or chips from the snack machine mid afternoon. On the way home I’d stop by and grab more food for dinner: a large chicken finger plate from Zaxby’s because who don’t love fried chicken? I had to have another large Coke to wash it down. After I finished my food I’d plop down in front of the TV or my computer or go take a nap for a few hours. I’d normally heading to bed around midnight or 1am after playing a few games of Dota2 with some friends. KENNEY: I was 35, tired all the time and unhappy with my life. Obesity, diabetes, thyroid issues, and high blood pressure are also all prevalent in my family history. I finally had enough and made an appointment to get a physical. When I saw my lab results I knew I was in trouble. My blood pressure was high, my blood sugar was high and my A1C was in the diabetic range! My cholesterol was sky high and I weighed 334 lbs! Despite these sobering results it still wasn’t enough to wake me up. As a card carrying super nerd – I’ve always enjoyed table top RPG – I was a member of a Dungeons and Dragons campaign with some friends from High School. One of the players started talking about Nerd Fitness and it piqued my interest. I decided to check it out and joined the NF Academy in January of 2016. I read the starter quests, but keep putting off actually starting. STEVE: That’s interesting – so you joined the program, but couldn’t get yourself to commit or take action beyond just reading the missions. Sounds like a classic case of not having a big enough reason WHY yet! Your doctor said you had bad health signals, but deep down you weren’t ready to change yet. KENNEY: Music has always been my main passion. I was a vocal major in college before switching to something more “practical.” I decided to restart my vocal studies at a local music school in my early 30’s. As if being a typical DnD/MMORPG nerd wasn’t enough, my musical endeavors are in the Classical/Opera genre. The school where I study has spring and winter productions each year. I was cast in my first show and I was hooked. I was continually cast in smaller roles but I had larger ambitions. In September of 2016, I had just finished a production and felt I had performed well but I wanted more. I reached out to the teacher in charge of casting. I told her that I was committed to landing a leading role, and her response? My weight was a showstopper. STEVE: And there it is…your ACTUAL “Big Why” – the reason that deep down made you want to change. It must have been brutal to hear that you were too big to be considered for more important musical roles. But it appears to also have been a big turning point for you. KENNEY: October 2016 I started my fitness journey first by cutting out sodas and cutting my portion sizes. I started logging everything in a Fitness App. I knew from reading the articles on Nerd Fitness that making small changes at first worked best. I tried doing some of the free home workouts but I knew my motivation would suffer and I would stop unless I had some “skin” in the game. So I called up my local gym and set up a free training session on Columbus Day. The first workout was so horrible and I was so out of shape that I almost tossed my cookies – it just reinforced how far I had to go…but I was inspired. I signed up and started working with a trainer 3 times a week. Strength training with some occasional cardio has the name of the game since then. At that first session, I weighed in at 320 lbs and by Nov 16th I was down to 297lbs. I couldn’t remember the last time I was under 300lbs and my motivation never faltered. I started incorporating cardio 3 or 4 times a week into strength-training routines. STEVE: Hmmm, so what you’re saying is…this whole diet and exercise thing might actually work! Hahaha – so talk to me what other changes you made along the way. KENNEY: I started doing intermittent fasting along with a low carb, high protein diet. As my weight went down I started feeling better and was continually amazed at what I could do. 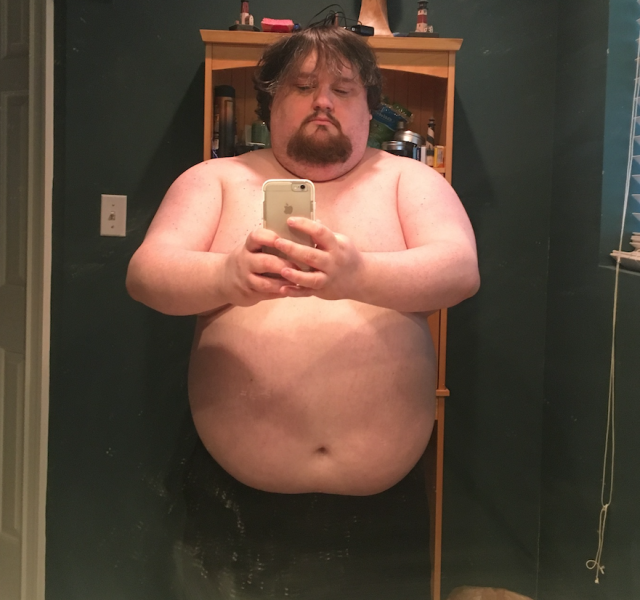 By January 4th, 2017 I was down to 281lbs. STEVE: And that’s when you discovered the power of a supportive community, right? KENNEY: Later that month I saw that there was a Facebook group for Academy members, which I had somehow missed when I signed up the year before. When I joined the group I was amazed at the community. The posts were uplifting and informative. This was a huge step for me due to self-esteem issues but the support and uplifting comments were great. 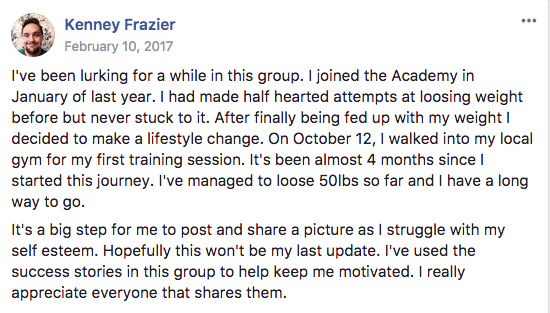 I used the Academy community to help keep me motivated. Whenever I’d feel like quitting I’d log in and read the new posts and fortify my resolve. 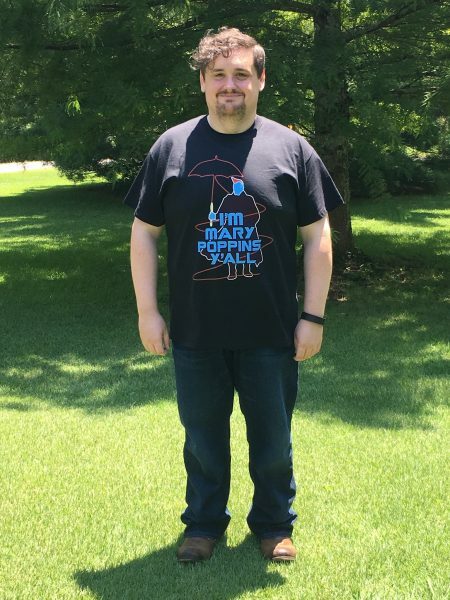 By May I was down 75 lbs and I was doing things I never thought I’d be able to do. I went from being winded by walking up stairs to doing Burpees, Squats, and bear crawls. I even started taking tennis lessons! By the end of summer I was down 100lbs. And just a few weeks ago, I weighed in at 198 lbs, meaning I’ve lost 120lbs! I can’t even remember the last time I was under 200! I recently went to the doctor again and had a fresh set of labs. My results were night and day! My A1C was normal, my blood sugar was normal, and my cholesterol was greatly reduced. STEVE: AMAZING. So let’s hear about the New Kenney. What’s a typical day like now? KENNEY: I wake up around 6:30 and 6:45am and try to get to work before 8:00am. I do intermittent fasting so I actually skip breakfast. My “feasting” window runs from 11am til 8pm. My typical lunch is a salad minus croutons with chicken (I have a slight addiction to Caesar salads) If I need a snack I’ll eat some tuna or even some beef jerky (can’t have enough protein). Normally, I’ll head home and get ready to go to the gym! I work out 3 times a week with the trainer so I’ll do 40 minutes of cardio after those sessions or on a non-lifting day I’ll do an hour of cardio. Lately, I’ve been on an elliptical kick as I can zone out and watch Netflix while I’m doing it. I also play Racquetball once a week with friends and I joined a basketball league (I’m really bad!). After I work out, I’ll grab dinner with chicken or beef, with some brown rice, and broccoli (I love broccoli!) or a mixture of other veggies. I also have a bit of a sweet tooth so I’ll treat myself with some halo ice cream (within reason) or some fruit or Siggi’s Icelandic style skyr. I’m a simple guy so I can eat the same things a few times a week and it doesn’t bother me. I guess I look at food differently now. It’s fuel for me to reach my goals before I used it to make me feel better. STEVE: That mentality change is amazing, and I love hearing it. You changed physically. What else changed about you along the way? KENNEY: Looking back over the journey so far I’ve learned so much more about myself. I’ve discovered that I can reach goals and that I am capable of doing anything if I put my mind to it. While I haven’t reached my goal weight, I am well on my way. I have the tools to complete my journey. 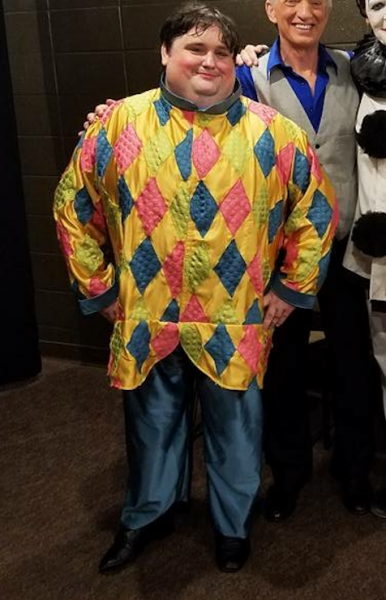 I was a soloist in a community Sing-a-long Messiah tonight and I got to rock a tux, so I thought it would make a good after! When I went to try on my “rent-a-tux” I was fitted in a 46S jacket and when I got home I looked at my old suit jacket and it was a 56R! It’s just amazing to me! I really appreciate the community that you have built. I wouldn’t have come this far without it! STEVE: Everybody assumes that they’ll be happy once they lose weight. And you clearly seem like a completely different, more content, and proud person. Is there anything you still struggle with? 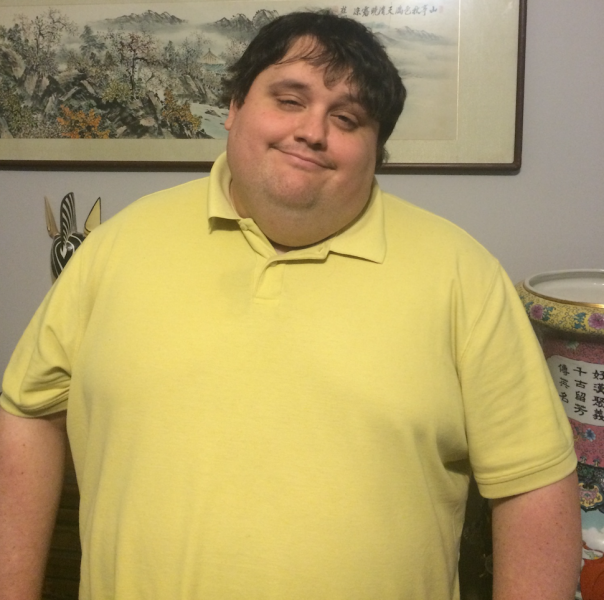 KENNEY: Losing this weight has really forced me to face my self-esteem issues and the mental aspects are a struggle. I feel so much better physically but I still struggle mentally with being the “fat” guy. STEVE: Thanks for sharing that honestly with us, man. We’re all works in progress, both inside and out! And these battles take time. It’s a good reminder to know that even if you build the body you want, you still have to level up on the inside too and that can take time! Luckily you have an amazing community of weirdos cheering you on, and others who have struggled with those same self-esteem issues and can help you get through it! I wanted to highlight the key points to his transformation that allowed him to finally find success, and hopefully you can implement these types of changes into your life too. KEY POINT #1: Kenney kept trying. Kenney spent over a year reading Nerd Fitness articles before working up the courage to even get started. After that, he joined the NF Academy and read the content but couldn’t get himself to do much more past that. And yet, something kept him around. He kept getting Nerd Fitness emails in his inbox, even if he wasn’t ready to take action yet. And EVENTUALLY, the right combinations of words on a page, life experiences, and things clicked for him to finally take action. If you’re somebody that has started and stopped or lost 20 pounds only to put on 30, you’re not alone. If you woke up this January and said “I said the same thing last year about getting healthy, but here I am still overweight,” you’re not alone. If you beat yourself up when you fail and think you’re doomed to stay fat, you’re not alone. Give yourself credit – you’re still here reading this, and that counts for something! Keep trying. Keep reading. Keep attempting different methods until you find one that works for you – though I’d consider these 10 changes before making another attempt). The important thing is that you take action – more information is usually not the answer. 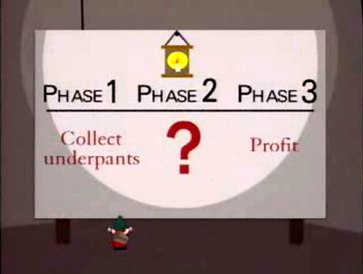 Don’t get stuck on Phase 1 – you’ll never get to “profit” (healthy) without taking action (that’s phase 2). Now, there’s a powerful psychological element to Kenney’s journey that I wanted to highlight as well. Just saying “I want to get in shape” wasn’t enough for him. Being overweight wasn’t enough. Having his doctor tell him that he was at risk for a all kinds of preventable diseases wasn’t enough. Sure, he “wanted to get in shape,” but it wasn’t enough to make him actually change. After all, Chick-Fil-A, Zaxby’s, Coca Cola, and Burger King is SOOOO damn good, it takes a really powerful reason to want to give up those things and delay gratification until the future. 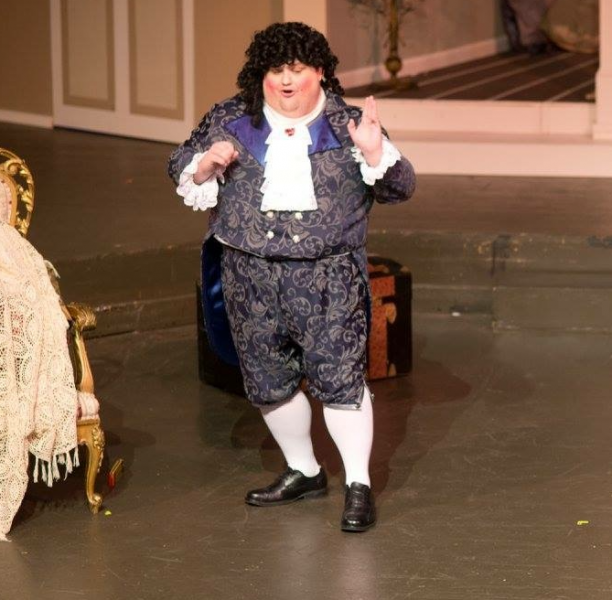 Kenney was told that his weight was holding him back from landing bigger roles while performing on stage (something he truly loved). And that’s when he decided to finally take this next attempt at getting fit seriously and actually took steps to change. You’re tired of being unhappy with the person you see in the mirror. If you want to build confidence to finally go on a date for the first time. If you want your wife to look at you with love/admiration the way she used to. Your dad died at a young age and you want to live to see your grandkids. A reason like this, written somewhere that you can see daily, will help you stay on track when life gets busy. Key Point #3: Kenney changed his relationship with food. This is a guy who ate fast food 3-4 times per day, every day. Who grew up in the South, home of “comfort food.” A self-described Reese’s Cup and Ice cream aficionado. THAT guy now views food as fuel for his fitness goals! How did it happen? Slowly with small changes over a long period of time. 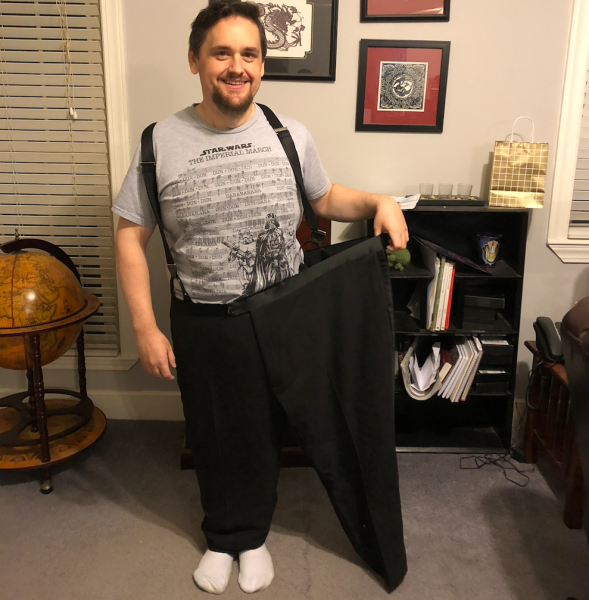 Kenney knew that going on a crash diet wasn’t going to work (he had tried that in the past), so as we discuss here on Nerd Fitness he focused on small actionable changes he could make that didn’t scare him. He kept things simple like cutting back on soda and tracking his food intake. He consistently ate healthy options and go-to “default” meals. Thanks to this dramatic change in his mentality, Kenney no longer needed food as an escape, but rather saw it as fuel, with occasional indulgences – like his favorite ice cream or candy – but in moderation without fear or guilt. Key Point #4: Kenney STOPPED relying on himself. Believe it or not, Kenney giving up on himself might be the most important mindset shift he could have made. He had OTHER people keep him accountable other than just himself. If you rely on yourself to be motivated, and you think you need to be motivated to get in shape, you’ve already lost. STOP relying on motivation. Instead, build systems, recruit allies, and structure your environment in ways that support your goals. Try this: recruit a friend who will cheer you on. Give him $50 of your money and tell him you’ll check in with him every day. If you don’t check in to let him know that you went for a walk and ate a veggie, he will donate that money to a cause you HATE. I’m proud to say that Nerd FItness played a communal role in helping Kenney Reach his goals. Our Academy doesn’t a super secret proprietary workout plan – its fun compound strength training. Our nutritional strategy isn’t anything proprietary – its less junk and more vegetables. Sure, it digs deep on the mindset stuff, and it’s got a fun leveling system and nutritional strategy that gamifies getting in shape. But that’s not what made it such a big help in Kenney’s journey: it was the community of people who are aligned with the same goal, struggling with the same problems, that were cheering him on. Human connection and supportive people can be the biggest help in transforming, and Kenney had both: a coach who pushed him, and a community that supported him. Did you know that you are the average of the 5 people you associate most with? Show me the weight, health, net worth, and happiness level of the 5 people you spend the most time with, and I bet I can guess a lot about you with startling accuracy – it’s because those people influence you every day without you realizing it with their words, decisions, and choices. Kenney has been a major contributor to our community, sharing his struggles and his progress. Unsurprisingly, he’s also one of our BEST successes, and an inspiration to the men of the Academy group – and now the galaxy. Join a running club at work. Or start one! Find an accountability buddy that you check in with daily. Create a guild and introduce positive peer pressure! Have somebody you can ask embarrassing questions to and share your struggles with. I love that Kenney found the NF community to be super supportive while he also leveled up his life with in person connections too, and I want the same for you. I don’t care where you find these people, I just want you to have these people in your life! Now, I might be slightly biased, but I believe our online crew is the best community on the planet! Kenney tried to follow along with free workouts at home. He read free articles on Nerd Fitness for over a year. And he couldn’t get himself to take his attempt at getting in shape seriously. As he was still in search of his big WHY, he realized that he’d never stick with an attempt until he had some “skin in the game” (invested in himself). So he called up his local gym and set up a free training session. Whether it’s an online coach or a course, there’s so much psychology at stake beyond just the information you learn in these situations. We all know what we need to do (eat less, move more), but we can’t get ourselves to do those things. You spend time with other people who are investing in themselves. You get to outsource your decision making and just focus on following directions. You get the peace of mind that you are doing the right thing because its been prescribed by somebody farther along than you. You get guaranteed accountability, because you’re paying somebody for something which means you’ll value it more! Sure, there are MILLIONS of free resources out there about how to get healthy. There are millions of free fitness articles (you’re reading one of them!). And yes, many people can get motivated and go build their own workout and go to the gym and figure things out and LOVE spending that time doing so. For the rest of us though, we don’t have the time or ability to sort through the junk to find the best information, or we just want the peace of mind knowing we’re learning from somebody that gets us. And lastly, maybe we know ourselves well enough that if we spend money on something, we’ll actually use it! Personally, I pay money to go to a gym 2 blocks away instead of using the free gym in my apartment building, because I never go to the free one! I also pay hundreds every month to work with an online fitness coach, and it’s the best money I spend each month. I’m not telling you to spend your money on fitness. Instead, I’m saying that what you spend your money (and your time) on says a lot about your priorities. Kenney looked at his spending habits and despite what he was told himself he cared about, he was really prioritizing fast food, no sleep, and video games. So he changed his priorities by eliminating unhealthy, expensive food and instead, spent that money on investing in himself (a coach, the NF Academy, healthy food). Of COURSE you don’t need to spend money on your health and wellness – but it can be like powerleveling yourself in a video game! If you think you can’t afford a gym membership, or a trainer, or a course…track your spending and measure what you have been spending your money on instead (TV, Netflix, game subscriptions, etc). A gym membership (or home gym) if you’re serious about changing your physique. 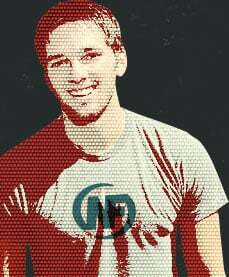 A comprehensive online course/community if you can’t learn in person. (like the Academy). A personal trainer or an online coach (we have a 1-on-1 online coaching program too). Notice I didn’t say anything about supplements or ab coasters or whatever – get your mentality in order, work with people who have succeeded in the way you want to succeed, and get started! be Less like Old Kenney. Be more like new Kenney. 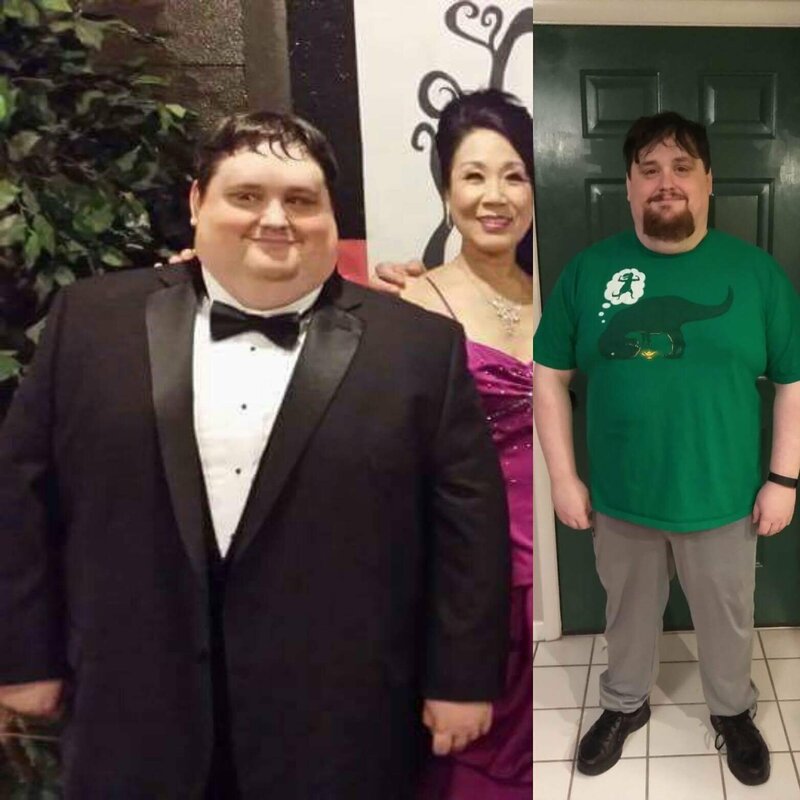 Even though he wasn’t ready to transform, he kept reading about health and fitness for years until something clicked. He finally had a big enough reason why to overcome his love of fast food. He dug deep and really addressed his motivations. He stopped relying on himself, and instead outsourced his motivation and accountability to a community and a coach. He fixed his relationship with food – instead of comfort, it became fuel for his goals. Regardless of how involved you want to be with Nerd Fitness, I’m just glad that you’re here and reading this. I hope you can see Kenney’s transformation above and decide “Hey, I want to do that! maybe I should do what he did.” And put his words into your practice! And then go see Kenney perform! Look for the guy center stage…. PS: I’m glad that Kenney is a really active and encouraging part of our community in the Nerd Fitness Academy, and I hope you consider checking it out too! It’s the most supportive group on the internet, and you’ll also get workout plans, a 10-level nutritional system, an entire mindset module, and character leveling system with real-life quests and boss battles. It comes with a 60-day guarantee to give you a chance to try it out and see if it can help you level up your life!